Have you ever been stuck wondering if someone was just flirting with you or if they are seriously interested in a relationship? Have you ever been roped into a conversation with a friend who is confused about their "significant other" but unable to fix it? Have you ever sat down with someone for a DTR but you realized afterward that nothing really changed? You are not alone in your frustration with relationships. We want to help you fix that. Every romantic relationship can be defined by one of ten relationship steps: Acquaintance, friends, "friends", going on dates, dating, boyfriend/girlfriend, serious, engaged, married, or happily married. Moving from acquaintance all the way to happily married, this short humorous book is for anyone who struggles to define their own relationship, for the friends of those people (who have to hear about it all the time), and for any person who simply enjoys analyzing the nuances of romantic relationships. 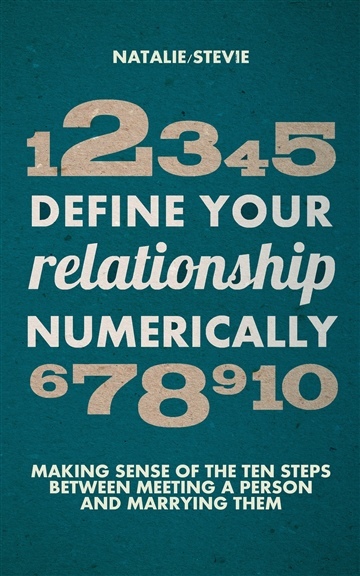 Stop defining your relationship with words; start defining it with numbers.